I've decided to start a new feature on my blog called Festive Friday. Each Friday I will post a seasonal card or project. Most of the time I will use my beloved MFT stamps and Die-namics, but I will be posting projects created with a few of my other favourite product lines as well. 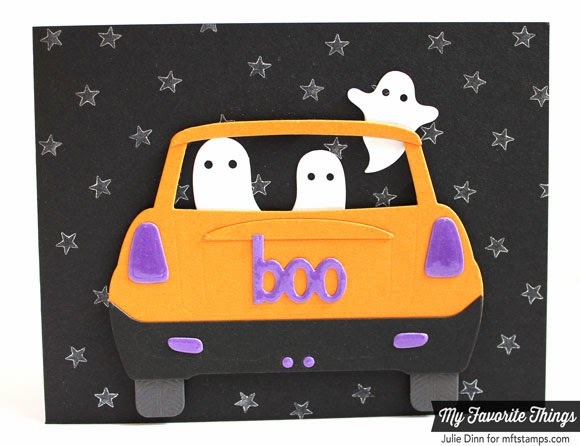 I die-cut the car in Orange Fizz, Black Licorice, and Steel Grey card stock. 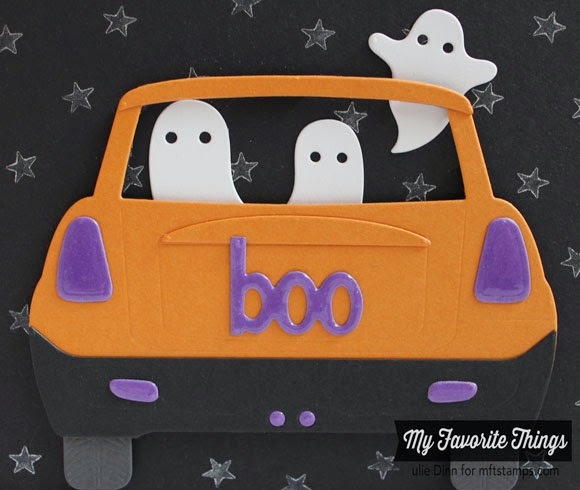 The lights and the boo plate were die-cut in Grape Jelly card stock and they all received a thick layer of Crystal Effects. The ghosts were created with the Spooky Scene Die-namics. I stamped the background stars with a fun little star from the Primitive Pumpkins stamp set and Silver Delicata ink. 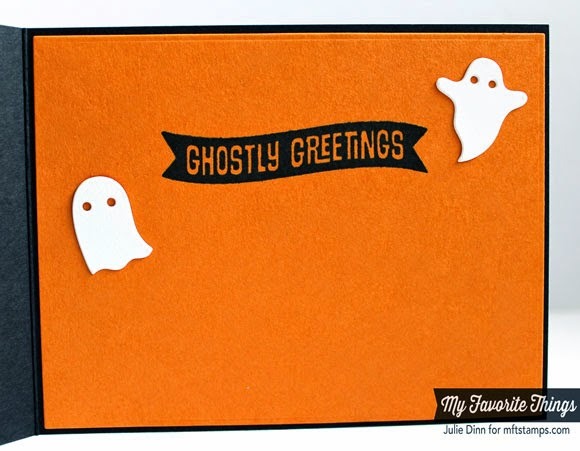 On the inside of the card, I stamped a sentiment from the Spooky Sentiments stamp set. I hope you enjoyed my first Festive Friday post, I'll be back again next Friday with a couple of cute Halloween Treat Boxes. oh, my goodness! That is BOOrific! how fun! love this, Julie!